The balcony railing is now up. Another project complete – well almost complete. The facia around the balcony still needs to go up. As a bonus, although it is already mid October, the weather has been nice and we were able to sit on the balcony today and enjoy a smoothie – a great break from splitting wood. 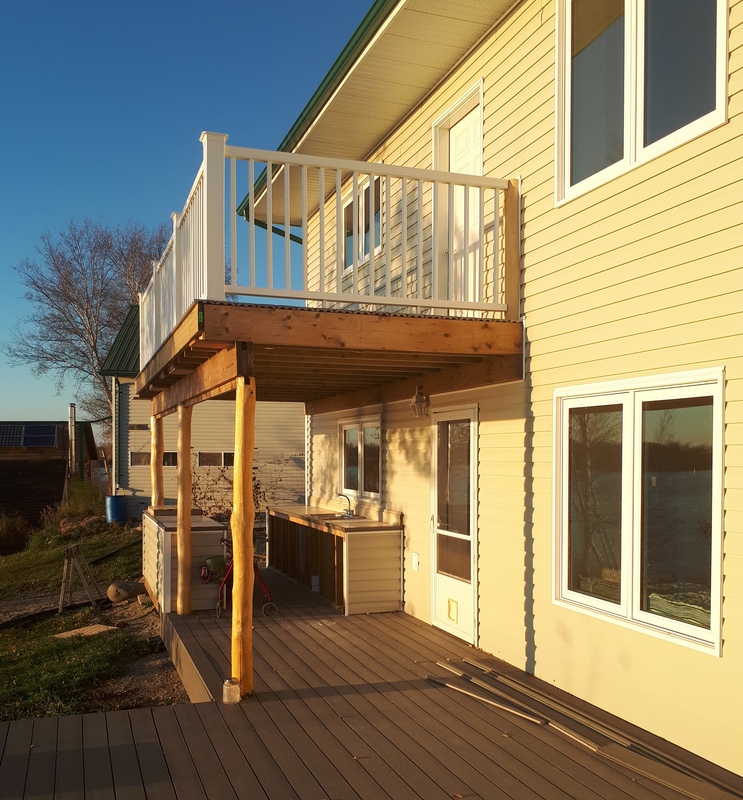 The balcony decking is the same gray composite (Timberteck) as on the lake deck and veranda. We debated on what to do for the railing – log posts and spindles like the inside railing, glass panels or composite. In the end, the composite won out – less maintenance and we got a real good deal on it. 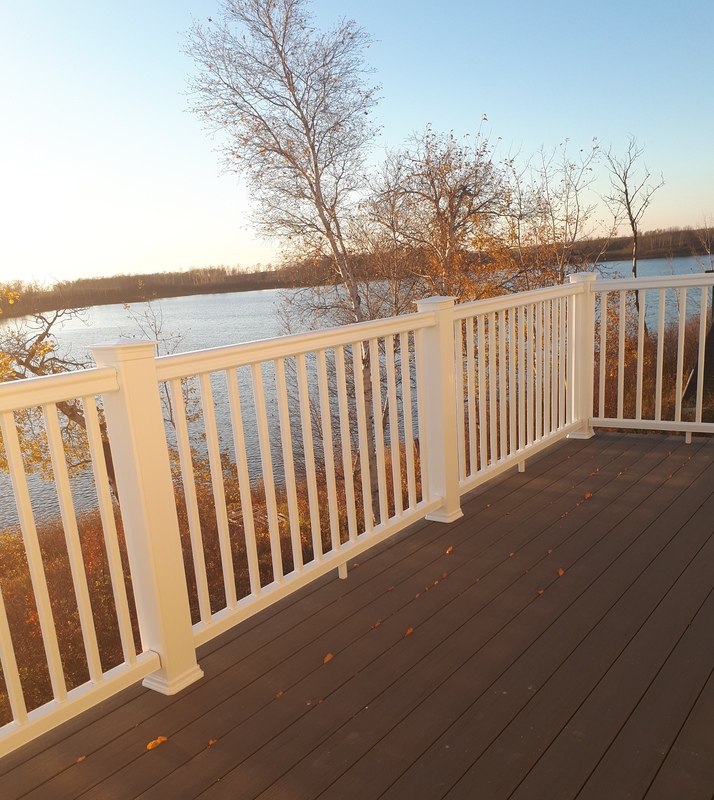 The railing is also from Timberteck, the same company as the composite decking. Another bonus of using a manufactured product is that it was super fast to put up. The balcony deck is 8 feet and 20 feet and also serves as the ceiling of the outdoor kitchen. Since there are spaces between the deck boards, some rain does drip down, but not much. And the view is great from above. This entry was posted in Bannister, Decks, Outside finishing, Outside living space and tagged balcony, railing. Bookmark the permalink. I love those posts holding the deck up!